Recently I watched Mario Bava’s The Girl Who Knew Too Much. It’s delightful Giallo film about a young woman, Nora, who, after watching a family friend die and being mugged while trying to get help, may or may not have witnessed a murder. Her testimony is in doubt because of the unconscious state she was found in and because—prepare to roll your eyes—she reads mystery novels. During all this chaos, she meets Dr. Marcello, the obvious love interest, played by John Saxon. If you are a horror fan, you’d probably recognized Saxon from Black Christmas and Nightmare on Elm Street. While those two films are only really linked in sharing an actor and both being slasher flicks, I cannot help but imagine them being in the same universe. Mainly because in both films Saxon plays a police lieutenant. In Black Christmas, he is a surprisingly competent cop (law enforcement is rarely helpful in slasher films) who is trying to find a missing child and college student. We know, as the viewer, that the killer has been hiding in the sorority house, with the body of the missing co-ed, the whole time, but Saxon’s character does a good job following leads, believing the endangered girls, and even taking the perverted calls that the sorority has been receiving seriously. Eventually, he discovers that the calls are indeed coming from within the house. When watching Nightmare on Elm Street, it is fun to imagine that it is the same character. It may explain why he such a jerk in that film. How many slashers does one police officer have to put up with? Does this connection reveal anything more meaningful about these two movies? No, but it’s good fun. However, some connection are more fulfilling. 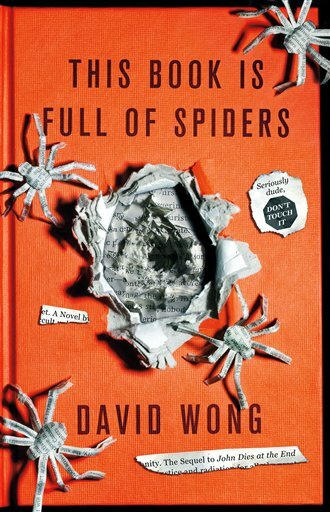 Take two books I’ve read recently, World War Z by Max Brooks and This Book is Full of Spiders by David Wong. Both deal with the outcome of a zombie outbreak. Though Wong’s book doesn’t actually have zombies per say, but rather monster’s that in some ways are more reminiscent of John Carpenter’s The Thing. However, the panic in the book is framed by a media saturated with zombies. In World War Z, the book mirrors the popular narrative that we give World War II—considering the title, this was probably done on purpose. Even the fact that this book is structured like a collection of oral histories adds to this sense. At first there is panic, people die in poorly planned battles, and refuges look for a safe haven but find none. Then people start to pull together. And though the odds seems insurmountable, people overcome them and take back the world from the undead horde. All in all, it is the most optimistic Zombie fiction that I’ve come across. Where as in This Book is Full of Spiders, the outbreak is focused in one city, but it certainly has a more pessimistic view. While the book is funny throughout, Wong show how people’s actions are stupid, selfish and absurd. In some ways, Wong seems to be the Samuel Beckett of comedic monster books. Throughout the text, Wong focuses on human’s lack of empathy. Dunbar’s number—the concept that one can only empathize with 230 people at most and beyond that everyone else becomes the other—is mentioned throughout the book. In the end, which I won’t spoil, Wong shows how we as species fail to pull together, rather he emphasizes our lack of sympathy when it comes to fellow human beings. Did I mention that this book was hilarious? What I loved about reading these two books, around the same time, is that they reveal how humanity reacts to disaster and threats. Is Brooks right in his optimism or Wong right in his absurdist pessimism? I would yes, they are both right. The world is complex, and we seek out stories to better understand it. The thing is stories can never encapsulate the whole of any truth, by a story’s very nature—even when it acknowledges complexity—the truth is simplified. However, by reading widely I can face the many truths and the many stories that explain the world we live in. To return to The Girl Who Knew Too Much, this movie presents one of my greatest fears: those in power dismissing what I have to say as only my imagination or worse madness. When Nora is first found unconscious on the street, she is taken to the hospital and put in the mental ward as a “drunk.” No one believes her, and she is only able to leave because she knows a Doctor who can vouch for her character. However, they convince her that the murder she witnessed was only her imagination, after all she reads mystery novels and a girl’s imaginations can run wild. Because these authorities doubt her testimony, she is put directly in harm’s way. This problem shows up again in Nightmare on Elm Street: no one believes Nancy. She is forced to rely on her own wits to battle what basically amounts to a demon. While I’m not sure that there was actually anything that the adults could do to help, their dismissal of what she knows to be true is, in some ways, more terrifying than a demon who waits for you in your dreams. Here are two movies separated by twenty years and an ocean, connected only by an actor and the fact that they tap into the very same fear. Both tell us that sometimes when those we trust to protect us say that it’s only our imagination and that such monsters aren’t real—they are wrong. Those monster are real, but we will be laughed at or locked up for our own safety if we dare ask for help. Perhaps I shouldn’t be focusing on how I keep finding these connection, but rather on why we keep telling this same story. I’ve always been fascinated by book covers: how they’re designed, what they tell us about a book before we’ve even read it, how a bad design may keep me from book I would otherwise enjoy, and how a good design will trick me into reading a book I don’t like. Last year Meg Wolitzer wrote a great article on the different ways the books written by women are marketed—including the typeface that is used on the cover. Yesterday, I came across link to an article about how Maureen Johnson had asked her twitter followers to create covers for books as though the original author had a different gender. It’s quite fun. 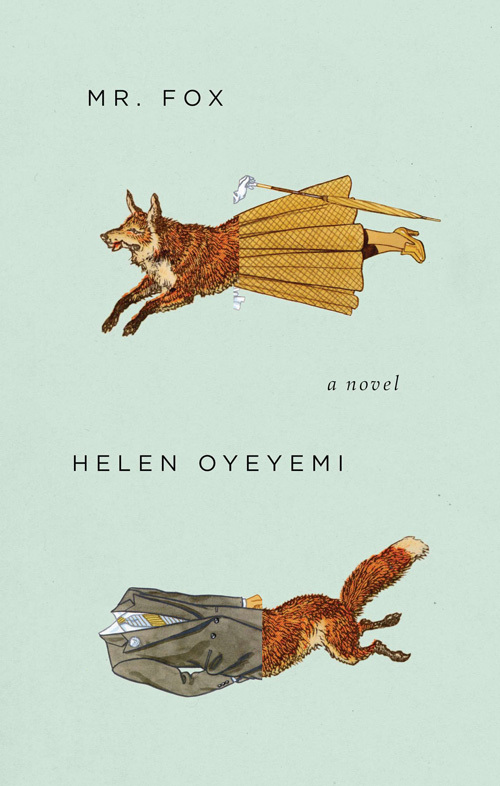 The article got me thinking about a book I read recently, Mr. Fox by Helen Oyeyemi. This book may be one of my all time favorites. It’s about a writer, the titular Mr. Fox, his muse, Mary Foxe, and his wife, Daphne. There is a bit of a love triangle between the three, but what makes it interesting is that Mary is a creation of Mr. Fox’s mind not a flesh and blood woman. 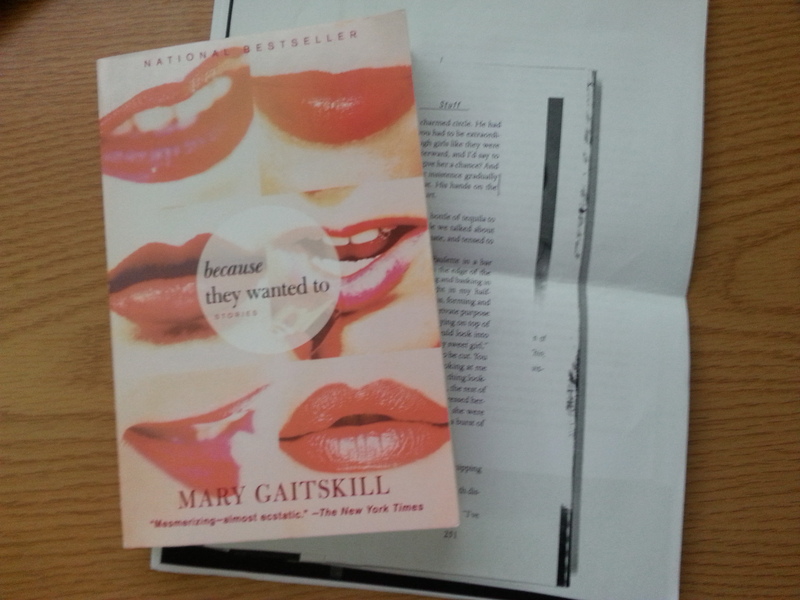 The book begins with Mary accusing Mr. Fox of being a serial killer, as he kills of all the women in his novels. They start a game where they enter several different stories—in someways it is a bit reminiscent of Italo Calivino’s If one a Winter’s Night a Traveler. Ultimately, Oyeyemi is exploring how women are viewed, often in ways that justify the violence done to them, and how fictional constructs reinforce or subvert these views. Yet despite the heavy topic, the book is often lighthearted and funny. However, you wouldn’t be able to tell it’s dealing with such topics from the cover. When I first come across this book, it was the cover to the right that I saw. I immediately recognized that the title was a reference to the British fairy tale, “Mr. Fox,” where a young woman visits her fiancé’s house and discovers he is a serial killer. She takes a dismembered hand of one of the victims, and at their wedding reception reveals his crimes to the whole neighborhood. He is immediately killed by her brothers and her friends. That definitely drew me to the book, but the Art Deco style, the colors, and the shadow of the woman with her back turned to the dapper gentlemen suggested that this book was most likely a period mystery novel with romance elements. Mystery is a fine genre, but not really my cup of tea (I hate puzzles). Fairy-tale romances end with a wedding. The fairy tales that don’t get more complicated. In this book, celebrated writer Mr. Fox can’t stop himself from killing off the heroines of his novels, and neither can his wife, Daphne. It’s not until Mary, his muse, comes to life and transforms him from author into subject that his story begins to unfold differently. Meanwhile, Daphne becomes convinced that her husband is having an affair, and finds her way into Mary and Mr. Fox’s game. 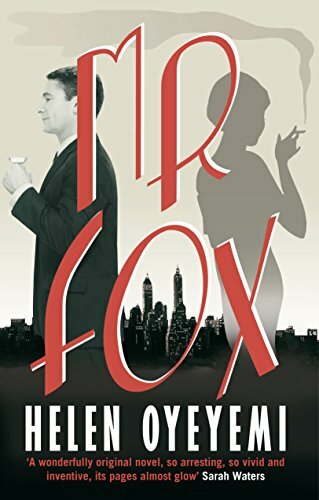 And so Mr. Fox is offered a choice: Will it be a life with the girl of his dreams, or a life with an all-too-real woman who delights him more than he cares to admit? On one hand the book had seemed to have magical realism, which I loved, but on the other hand it might just be a romance (also not my cup of tea). That summary only hints at the fairly dark parts in the book, but definitely emphasizes the romantic relationship between a man and two women. Oddly, it also suggest that the final outcome of the novel is based on the Mr. Fox’s choice alone, where in the book the two woman have equal agency. I can’t say why the publisher chose to highlight certain aspects of this book—the love triangle—and not the other more violent parts—the murders in the embedded stories. Maybe this really did sell better, and I would never begrudge an awesome author getting read by a wider audience. Maybe I’m just revealing my own biases—in loving the meta and dark parts of the book, I’m probably selling short the fact that it is fun, usually lighthearted, often optimistic, and even romantic. All I know is that I love this book, and I almost didn’t read it because of what was on its cover. I’ve just finished To the Lighthouse by Virginia Woolf, and, as a surprise to no one, I loved it. I loved it so much that I didn’t just break the spine, but, to my horror, ripped the book in half. Thankfully I had some Scotch tape on hand. I’ve always been a reader, but somewhere around my Sophomore or Junior high school year my reading habits changed. Before then, I tore through escapist literature—I was particularly fond of the Star Wars extended universe. On whim, I picked up All Quiet of the Western Front. Instead of escaping on a grand adventure, I faced a horrifying reality. Yet, at the end of the book, I felt that I understood the world—the beauty and the tragedy—a little bit better. At the time I was ignorant of what the Canon was and the problems inherit in it, all I knew was that All Quiet on the Western Front was considered a classic, and that I wanted to experience that sense of clarity and catharsis again. I thought I could only experience it through “the classics.” As you can tell, I had only vague idea what any of this meant or what authors to seek out. I started to wander the library stacks picking up books that I’ve heard mentioned in class or whose covers made them look like a classic (the only reason I knew Madame Bovary was a classic was because of its leather cover). Sometimes I discovered books I loved (Calvino’s, Camus’, Austen’s, Gaskell’s, and so many others), sometimes I discovered books I hated, and sometimes I discovered books that overwhelmed me. When I selected a book that overwhelmed, I would often read a few pages, but find that I couldn’t follow what was happening or, in some cases, the syntax. To the Lighthouse was one those books. I started reading it, but I didn’t know what was going on. I was left wondering who the main character was, what were all these people doing, what conflict was pushing the plot forward. I would reread whole pages, but the words became no clearer. Eventually I gave up—I felt that I wasn’t smart enough to read it. I encountered Woolf again in a college literature class, where we read Mrs. Dalloway. Once again, I couldn’t follow what was happening. Woolf’s narrative switched from character to character without warning. I kept wondering why we were spending so much time with boring Mrs. Dalloway and not more time with Septimus Warren Smith, who I found more interesting. I figured that I just didn’t like Woolf’s writing that she was just to hard for me to read. This all changed when I saw the film, The Hours. I quickly tracked down the book by Michael Cunningham. His book made me question my initial reading of Mrs. Dalloway, allowing me to read it once more. It is strange how point of view can affect our reading of a book. When I first read Mrs. Dalloway, I’d firmly believed that literature should be about grand ideas and grand passions. When I read The Hours, or maybe because I read The Hours, I was starting to wonder if literature could be about the little things that made up our days. I started to wonder if the trifles that I had been so quick to dismiss were just as important to our lives. In Mrs. Dalloway, and really in much of Woolf’s writing, she shows how the grand and small connect, how our lives are made up of both wars and the errands we run on a busy afternoon. She shows how what we would dismiss as insignificant can make life worth living. Since then, I’ve read The Voyage Out, Night and Day, Orlando, The Common Reader and A Room of One’s Own. Woolf is one of my favorite writers. Yet when I picked up a copy of To the Lighthouse, I was intimidated. Here was one of the great books that I had failed to read. Here was a book that I was not smart enough to read. This feeling of doubt is, of course, familiar: I feel it every time I sit down to write. It asks me who I think am. I’m not that important; I’m not that smart; I’m not one of those people who will finish To the Lighthouse, Ulysses, or Swann’s Way. Perhaps that is why I sat down with the book; I needed to prove something to myself. When I finished To the Lighthouse, what surprised me most was just how easily I could read it. I could follow the narrator as she switched focus from one character to an other. The action was clear. I wondered if this was the same book that had so overwhelmed me before. But it was, I had simply grown as reader. I was now more familiar with Woolf’s syntax. I had read more complex, sometimes frustrating, experimental writing. Stream of consciousness following multiple characters was familiar; I was an old hat at it. In some ways my journey to finally reading Too the Lighthouse oddly suites one of the book’s main themes—the relentless march of time. People die, houses fall to ruin, books and paintings are forgotten, nothing lasts. Yet there is comfort in that change. A painting will be finished, and books will be read. But what a power was in the human soul!…That woman sitting there writing under the rock resolved everything into simplicity; made these angers, irritations fall off like old rags; she brought together this and that and then this, and so made out of that miserable silliness and spite…something—this scene on the beach for example, this moment of friendship and liking—which survived after all these years complete, so that she dipped into it to re-fashion her memory of him, and there it stayed in the mind affecting one almost like a work of art. Mrs. Ramsey had gone to the beach with two of her friends and created a day that causes Lily to question her views and had truly moved her. We tend to think of the duties of hostess as inconsequential, but that day, because of Mrs. Ramsey, transcends and works like a piece of art. Woolf has shown us that those “inconsequential” moments can carry consequence. she turned to her canvas. There it was—her picture. Yes, with all its greens and blues, its lines running up and across, its attempt at something. It would be hung in the attics, she thought; it would be destroyed. But what did that matter? she asked herself, taking up her brush again. She looked at the steps; they were empty; she looked at her canvas; it was blurred. With a sudden intensity, as if she saw it clear for a second, she drew a line there, in the centre. It was done; it was finished. Yes, she thought, laying down her brush in extreme fatigue, I have had my vision. As I read those final lines, I feel I can go on writing. Once again I feel that I know something more about this world. I again feel that catharsis I felt at the end of All Quiet on the Western Front and so many times since with many other books. It was worth all the years it took me to finally read those lines. Among the many books on my bedside table, I try to always keep one book that I consider intimidating. This book could be a scholarly work, philosophy, science, contemporary fiction (with a reputation for difficulty), experimental poetry, or one of the “classics.” The intimidating book is one that I feel I’m not smart enough or educated enough to read, but how else will I educate myself if I don’t read it. Also, I don’t like the idea of being bullied around by some printed pages. The intimidating book currently on my bedside table is The Aeneid; I’m about a hundred pages (three books) from the end. 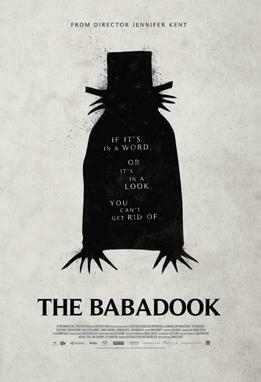 What surprised me the most is how much I enjoy reading it, and that my enjoyment was similar to that of watching a campy horror or action film. In other words, I MST3Ked it. Now I’m probably far from the ideal reader for Virgil—my understanding of Roman history and culture is spotty to say the least. I bring, probably unfairly, my modern perspective upon the work. While this may mean that some allusion will go over my head, I can’t believe that works of literature should be read as though they exist out of time. Of course The Aeneid will read differently for Virgil’s contemporaries, scholars in the 19th century, and me in the 21st Century. First let me mention the things that frustrated me. Right now I’m in middle of reading about the war in Italy, which started because Aeneas wants to marry Lavinia and so does Turnus. We hear what Aeneas wants (to make the Trojans a great country once again), what Turnus wants (Lavinia and the throne that comes with her), what Lavinia’s father, King Latinus, wants (for Aeneas to marry Lavinia), what Lavinia’s mother wants (for Turnus to marry Lavinia), and what the Goddess Juno wants (to muck things up for Aeneas). We never learn what Lavinia wants. While I know that given the cultural background of this work, this over site is to be expected, it still annoys me. Here is a character that they are starting a war over, but her main characteristic is that “she was ripe now, ready for a husband.” Yuck! I’ve always found the woman who is a fruit ready to be plucked metaphor gross. I was similarly annoyed when Mercury warns Aeneas to get out of Carthage and says, with regards to Dido, “An ever/ uncertain and inconstant thing is a woman.” Or, when the Trojans are leaving and see Dido’s suicide-funeral pyre and Virgil writes, “They cannot know/ what caused so vast a blaze, and yet the Trojans/ know well the pain when passion is profaned/ and how a woman driven wild can act.” Yep, Dido is crazy for expecting Aeneas to hang around—she only destroyed her political reputation at home and caused a war with a neighboring king by shacking up with Aeneas. If Dido hadn’t committed suicide, her fate was still a pretty bleak one. So yeah, I feel she deserved a little slack. At least she got to snub Aeneas in the underworld. I’m enjoying reading about the war in Italy; it makes me laugh. Take Euryalus and Nisus who sneak off to warn Aeneas that the Trojans are under attack but stop to kill some Rutulians and pick up some loot, meanwhile I’m yelling “You have a job to do. Warn Aeneas!” I’ve seen lots of action movies. From them I have learned that the moment you start killing people, it is only a matter of time before the enemies start noticing you, especially if you steal and wear some of their shiny armor. While Virgil presents their death as heroic and tragic, they don’t seem to understand what being a messenger sneaking through the enemy camp entails. Considering their message was something along the lines of “Help we’re under attack! Need Reinforcements!” they kind of screwed over their comrades. 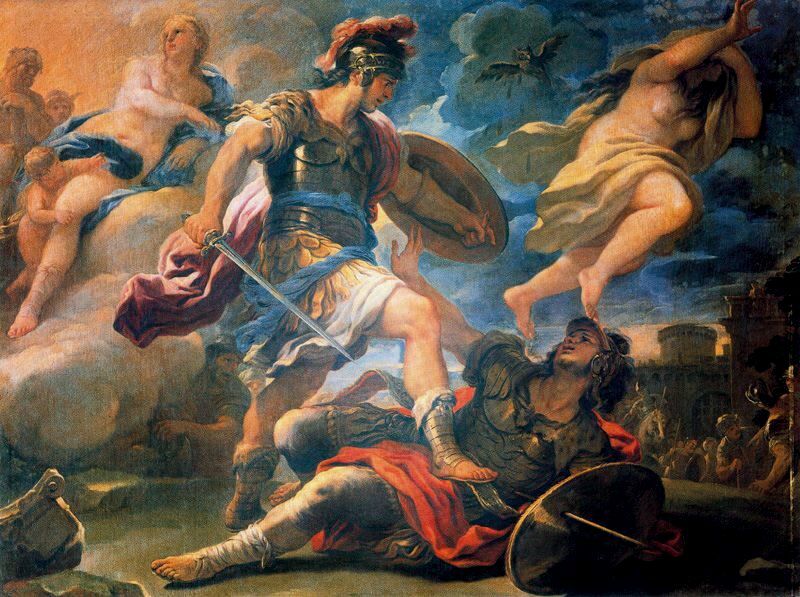 drove Turnus on against his enemies. Oh Turnus, if only you had called for back up, you could have won. I realize it may seem like I’m nitpicking this great work of literature. I can’t deny the beauty and the power of Virgil’s work, and I’m grateful to Allen Mandelbaum for giving us a translation that is so readable and poetic. However, often works of literature seem to be put on a pedestal just out of reach for the rest of us, who have decidedly plebeian tastes. But as I read this great work, I saw the same tropes I see in Bond and Schwarzenegger films. I enjoy watching these cheesy movies—I enjoy sitting at home and yelling at the heroine to run instead of investigating the basement. I love yelling at the megalomaniac madman to stop monologuing about his plans to take over the world. And if I can find that same joy reading the “classics,” I don’t think there is any good reason in denying it because it’s high art. “Please, no soliloquy!” he seems to say. I feel like I should make a “you better watch out” joke for some reason. It is the Christmas season again, a time when I would like to get in the holiday mood but the shallow saccharin sentiments used to mask the aggressive consumerism just feed my cynicism. But that is not what I’m going to complain about today, no today I want to ask what the hell is up with the “The Little Match Girl”being a beloved Christmas story! Really? Mind you this is coming from someone who loves Rare Exports and Black Christmas. I’m fine with Elder God Santa and a slasher hiding himself in a sorority house as the girls pack for winter break. I understand my love of horror can be a bit odd especially during this time of the year, but I draw the line at this fairy tale. The story is by Hans Christian Andersen, who for those you who are familiar with fairy tales should be cause for alarm (at least when you’re trying to calm children for bed). In it a little girl who has no shoes is dying of hypothermia on New Years Eve. She is afraid to go home because her father will beat her for failing to sell the matches. She ends up lighting each match for warmth during which she hallucinates a warms stove, a Christmas tree, and her dead grandma—the only person that has ever been kind to her. In the end she succumbs to the cold and her frozen little body is found with a smile on its face. Lets send the little ones to bed with that image in their heads. Christmas seems to need a little sadness and a lot of nostalgia, which I’m fine with. “I’ll Be Home for Christmas” and “White Christmas” are my favorite Christmas songs because they show longing for something that once was, note both songs were written during World War II. At the time many knew that they would not be home for Christmas that they may never get home, but it is still a possibility. There was still hope. A Christmas Carol needs its ghosts and needs its suffering, but it also needs Scrooge’s redemption and the knowledge that Tiny Tim, that annoying little sprite, can be saved and live a long life. Take It’s a Wonderful Life (a film I hate, but I understand it’s appeal), George Bailey’s possible suicide attempt is necessary, but so is his discovery that life is worth living. Whereas the Little Match Girl dies alone, but that is alright because she’s in heaven. Children die miserable deaths from neglect, but don’t worry or feel guilty for your apathy, they get a nifty afterlife. Merry Christmas! I suspect as with all things this comes down to taste, and if I was religiously inclined I may view the tale a bit differently. If you enjoy this story there is nothing wrong with that, but in the end I much prefer Terry Pratchett’s take on it in Hogfather. As many you may have gathered, I love to read and write about fairy tales. However, as of late I’ve been struggling in my writing—new drafts are still-born and revisions slaughter already weak poems. One poem, which has been sitting the drawer for a while, deals with “The Three Spinners.” The problem with the poem though is all I seem to be doing is retelling fairy tale and commenting on how cool it is. So in effort to break that habit, I’m going give you a brief summary. I would suggest reading the actual thing here—I’ll wait; it’s not that long. Fairy tales can reinforce cultural values—as seen with the Grimm’s and Disney’s Cinderella, Snow White, and Sleeping Beauty. These stories uphold the traditional female role of being domestic, dutiful, and easy on the eyes. However, these stories can also subvert—as seen with Oscar Wilde’s and George MacDonald’s tales. What I love about “The Three Spinners” is that it’s subversive, a rare thing for the Brothers Grimm. In the tale we’re introduced to a lazy girl who would rather comb her hair than do her chores. For this laziness, her mother beats her, as fairy tale parents are apt to do. A queen who was passing through the neighbor hears the ruckus and stops to ask the mother the reason for such a brutal beating. In moment of glorious sarcasm, the mother tells the queen “I cannot get her to leave off spinning. She insists on spinning for ever and ever, and I am poor, and cannot procure the flax.” The queen accepts this as the truth, takes the girl home, and gives her three rooms of flax to spin. The girl being true to her nature starts to cry for three days straight. Eventually, she notices three women passing by, each with a strange physical abnormality: one has a wide flat foot, one has a huge lower lip, and one had a huge thumb. The girl asks these women for help. They agree to help her, but as long as she invites them to her wedding. She accepts their conditions, and the three spin the rooms full of flax revealing that their physical abnormality are a results of the activity of spinning. The girl then presents the room to the queen, and as reward she gets to marry the prince. At this point those of you who are familiar with the Brothers Grimm will probably have drawn certain conclusions about the ending: the girl embarrassed by the weird looks of the three spinners will fail to invite them to her wedding, and they will crash the party with some suitable (and grotesque) punishment. If you guessed that, you’d be wrong. The girl invites them to her wedding, welcomes them like they’re family. The prince shocked by their appearances asks about their abnormalities, and they answer that it’s from spinning. Terrified that his pretty little bride may lose her looks, her orders her to never touch a spinning wheel again. I suspect that part of the reason that this tale is not as well-known is the lack of conflict—and horrible punishments. 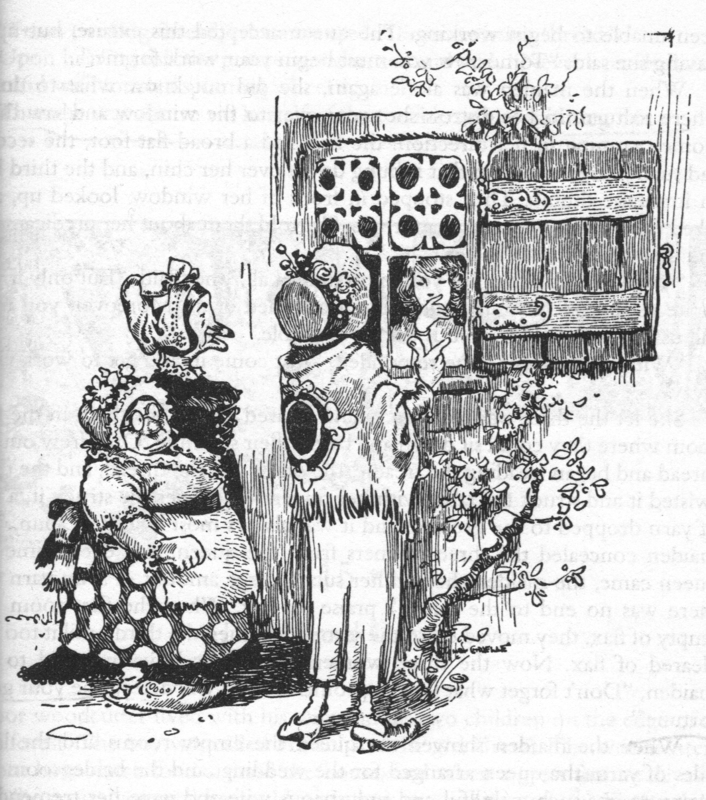 In the similar tale, “Rumpelstiltskin,” the conflict comes from the titular character’s request for the heroine’s first born child. The stakes are high. In “The Three Spinners,” the titular characters just want an invitation to a party—not a nail-biting plot. However, there is a conflict with our expectations. We remember all the other lazy and vain females who had parts of their feet cut off, eyes pecked out, danced to death in red-hot iron shoes, or met some other horrible end in the Grimm’s Fairy Tales. Yet this girl gets away scot-free, and I can’t help but think that’s awesome. In this tale, we are shown a group of women working together and taking care of each other. It also shows the impossible standards that are set upon women—and it shows women who fail to meet those standards, whether it be a their lack of work ethic or their lack of beauty, not only avoid punishment but gain reward for their camaraderie. It’s just so different from any of the fairy tales that I’ve read, I can’t help enjoy it. As with most fairy tales I love, I want to write about it, to inhabit it, to throw my own spin on it. But so far, my poem dealing with it only repeats the plot, has the mother roll her eyes when she sarcastic to a monarch, and announces how awesome it is. I think that a retelling needs to do a little more to justify itself. Hopefully, by writing this post I can free myself from the sense that I need to provide a faithful retelling, but if not at least I got to share an awesome fairy tale with you.